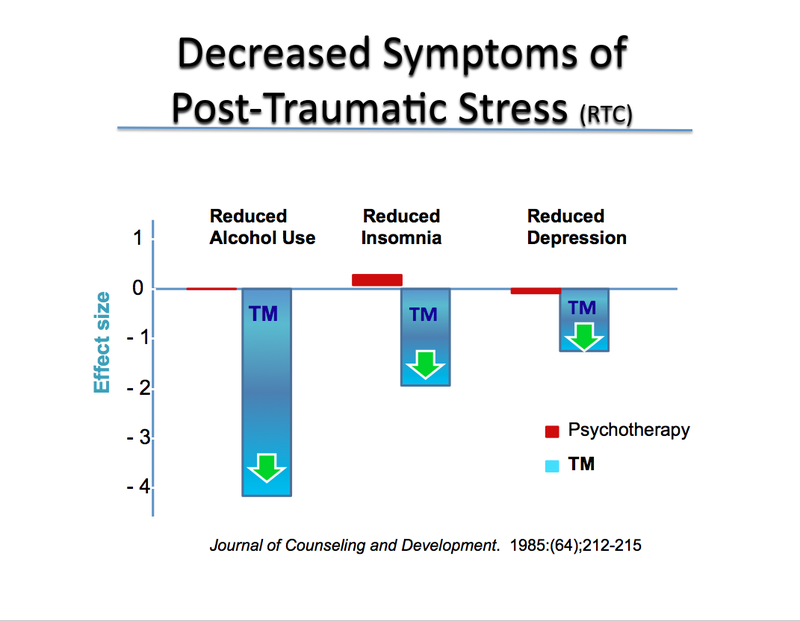 In the early 1990s, 2 studies with Vietnam veterans resulted in 100% of subjects experiencing recovery from PTSD. EEG biofeedback, or “neurofeedback” was the primary intervention used. That was more than 30 years ago. More recently, fMRI brain imaging studies show stabilizing effects of neurofeedback on brain structures associated with PTS(D) after only 30 minutes of neurofeedback training. Non-identified data from 819 subjects using BrainPaint® neurofeedback showed 89% reported their symptoms of PTS(D) were better or resolved after only 20 sessions. Other studies on head injuries collectively showed that neurofeedback is more effective than behavioral interventions. Neurofeedback is still not often available, so Biobalance Integrated Wellness has a home-based program to help. BrainPaint® neurofeedback software is not a brain exercise game. It is sophisicated brain training for stabilizing neurological imbalances without the need for diagnosis, treatment, or stigma. Biobalance Integrated Wellness makes neurofeedback affordable and simple for home use of “BrainPaint® software. Protocols used in BrainPaint® are evidence-based and validated in a large study conducted through UCLA. With unlimited access to the system, many home users maximize results with intensive use of the system. The program is designed for individuals who live more than 50 miles from an existing BrainPaint® provider, are self-motivated, and engaged in a support system. Home services are not covered by insurance. For a veteran testimony see: http://www.ptsd-treatment.info. Contact us at 520-227-4509 / http://www.neurofeedbackhomeuser.com. Follow us at https://www.facebook.com/BisbeeBiobalance and https://twitter.com/BiobalanceNFB. I wasn’t sure why I was attending this conference on the needs of military veterans and their families until those words rumbled through me. The keynote speaker at the front of the assembly hall was Dr. William Nash, Director of Psychological Health for the U. S Marine Corps. And I’m Father Nathan Castle, OP, a Catholic priest with very little knowledge of military anything. I have worked with young men and women the age of many who are currently deployed during a long career in campus ministry. I believe I’m an expert in healing the hidden wounds of the soul. That day last April, at the opening session of the symposium of the Arizona Coalition for Military Families, I wanted to enlist on the spot in the effort to bring peace to soldiers’ hearts. You used to believe the world was good. But now you don’t. You used to believe that you were good. But now you don’t. You used to believe that God was good. But now you don’t. Isn’t this what PTSD (Post Traumatic Stress Syndrome) is all about? I asked that question. Dr. Nash explained that only 15% of those returning from Iraq and Afghanistan get that specific diagnosis. He explained that only a psychiatrist like himself can officially make that diagnosis, and that there are as many as six behaviors which must be evidenced. Many veterans’ suffering doesn’t rise to that level or is not manifest in dissociative breaks with reality that can plague PTSD sufferers. But something is behind the loss of 22 veterans a day to suicide, many of whom were not diagnosed with PTSD. “The Spiritual Path to Peaceful Sleep” for survivors of trauma was held on January 4, 2016 at La Mariposa Resort in Tucson. If you’d like to know more about that, email me at ncastle@stanford.edu or check out my websites nathan-castle.com and andtoto.org. I’m planning to attend the Arizona Coalition for Military Families 7th Annual Statewide Symposium in Phoenix, April 20th and 21st. I’d love to meet you there. Lets look at a brief history of Acupuncture. The most reliable data has come from the remains of a mummified individual discovered in the northern Alps in September 1991. The mummified corpse has been dated to be more than 5,000 years old and was located in the Otztal Alps and the individual was deemed “Otzi”, the Iceman. Research has identified several carbon tattoos (possibly Acupuncture points) on his body including his spine. Additional analysis of his remains indicated he had several age degeneration conditions which mimic modern day bone deformities. I was diagnosed with two bulging discs (L4-5, L5-S1) with mild to moderate stenosis at the nerve roots several years ago. The downside of this condition as you may already be aware of consisted of sciatic nerve pain along my left lower back, left buttock, left thigh, left calf with numbness and tingling at the forth and fifth digits (toes) of my left foot. Pain and discomfort were my 24-hour constant companions and no matter how I tried to position my body, relief was not to be found. Several treatment options that were offered by the allopathic medical community (western medicine) consisted of a surgical intervention, physical therapy, a lifestyle change, prescription medications or a combination thereof. The treatment option that I reluctantly selected consisted of an epidural lumbar injection with dexamethasone (steroid-80mg) twice per year at an interval of six months. This option provided pain relief for approximately three years but as time progressed the period of being pain free diminished to approximately eight months. Due to the potential adverse side effects of extended usage of a long -acting glucocorticoid (steroid) I was placed on prescription pain, anti-inflammatory, and muscle relaxation medications for the remaining 4 months of the year. This cocktail of prescription medications were not at all to my personal liking and very detrimental to my lifestyle and therefore I conducted my own research on the treatment of bulging discs and sciatica. I became aware of a medical treatment option offered by several alternative medical practitioners while residing in Cottonwood, Az. The buzz words were known as “complimentary and alternative medicine” or CAM. I was formally introduced to Acupuncture by the late Kathy Salisbury-Lawrence of Sedona. After careful review of my lower back pain and related symptoms, a course of Acupuncture treatments were prescribed. Following the initial 1.5 hour consult, which included a review of my extensive medical history, I received my first Acupuncture treatment which consisted of inserting several pre-sterilized disposable needles placed at designated Acupuncture points. I was skeptical as to the level of pain that might be felt while the needles were being inserted… trust me… I felt no such pain. The Acupuncture points are primarily located on meridians or channels on the head, hands, arms, legs, feet, abdomen, chest, and back. The needles were removed after approximately 20-25 minutes and I was discharged from the clinic with a scheduled follow up appointment the very next week. Within several weeks my dreaded back, leg, and foot pain had been tamed in addition to Permanently shelving my cocktail of prescription medications. I was so intrigued by the overall success of my Acupuncture treatment, I embarked on a pathway of studying Acupuncture at the Phoenix Institute of Herbal Medicine and Acupuncture in Phoenix, Az. and completed all classroom, internship, and residency requirements and graduated with a Masters Degree in Acupuncture. I have recently completed a National board review program with the Arizona School of Acupuncture & Oriental Medicine (Han University of Traditional Medicine) in Tucson. Upon completing several National board exams, I will receive my license to practice Acupuncture in the near future(2015-16) with the intent of opening an Oriental Health Clinic in Tucson. In addition to treating disc/sciatica, Acupuncture has been recognized as a treatment option for many conditions to name just a few including allergies, angina, anorexia, anxiety, arthritis, bronchial congestion, carpal tunnel, colds/flu, constipation, depression, diverticulitis, emphysema, facial rejuvenation, fibromyalgia, gout, hemorrhoids, high blood pressure, injuries (sports, auto), insomnia, irritable bowel syndrome, migraines, pain (back, hips, neck, jaw, joint), post traumatic stress disorder (PTSD), post surgery recovery, shingles, sinusitis, smoking cessation, stress incontinence, stroke, substance abuse, trigeminal neuralgia, ulcers, and a broad range of wellness issues for women….and many… many more…..
From a historical perspective as a U. S. army veteran, I completed my Basic Combat Training (BCT) at Ft. Leonard Wood, Missouri (“lost in the woods”) in 1969, Advanced Individual Training (AIT) at Ft. Sill, Oklahoma in 1969, and Intelligence Training at Ft. Huachuca, Az. in 1970. My overseas deployment was with the 101st Military Intelligence Company, 101st Airborne Division (Ambl), “Screaming Eagles”, to Military Region 1(I-Corps), specifically the A Shau Valley of Thua Thien Province in the Republic of Vietnam during 1970-71.